Another Shangrila? There have been much hype and talk about the Last Shangrila, esp with a sudden popularity of a novel by James Hilton called Lost Horizon. 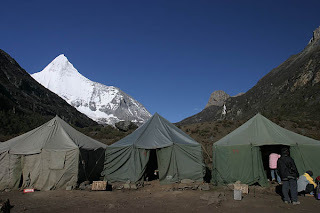 In the novel, he talks about a paradise place somewhere in the Tibetan region, and somehow, it got associated with a place in west Sichuan known as Daocheng. 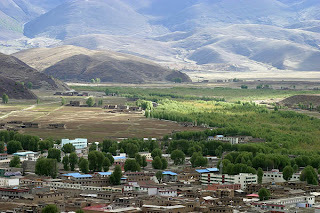 Incidentally, as news and popularity of the place increases, the Chinese government renamed a town called Zhongdian in Yunnan province to Shangrila! 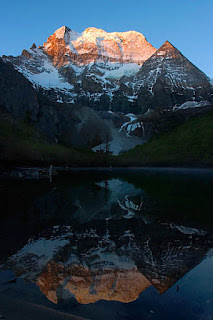 Yading also host 3 sacred holy mountains to the Tibetans. 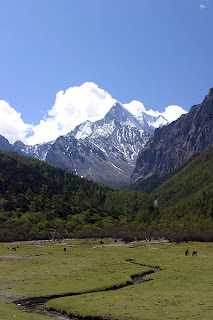 Many would come to Yading for their kora round Mt Chenresig (6032m). 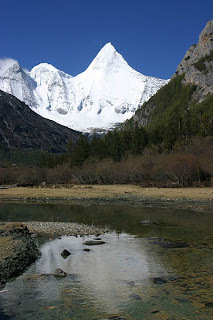 The other two mountains are Mt Jambeyang (5958m) and Mt Chanadorje (5958m). These snow-capped mountains are really beautiful to behold, and I'll share them below in their respective written order.